To assist in focusing the efforts of the Florida Integrated Food Safety Center of Excellence, a needs assessment was conducted with the purpose to assess current needs/knowledge gaps among state and local personnel involved in food safety activities and to assess the best approach to reach the target audience. The online survey was distributed to foodborne outbreak responders in Alabama, Georgia, Florida, and Puerto Rico. Please follow the below link to review the results of this needs assessment. 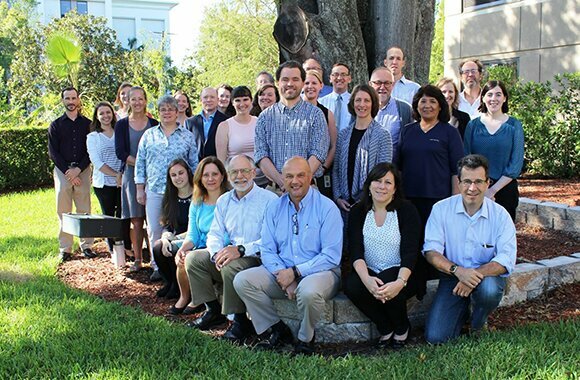 The Integrated Food Safety Centers of Excellence gathered in Tampa, FL for the annual vision meeting on October 24-25, 2017 to kickoff discussions on new and current projects, future goals, and present information related to completed activities. Partners attending included FDA, CDC, University of Oregon, University of Tennessee, University of Georgia, University of Florida, Cornell University, Colorado School of Public Health, University of Minnesota, and hosted by the Florida Department of Health.